Driving home today listening the Home Run on CBC, I was happy to hear the Montreal Museum of Fine Arts is going to be the permanent owner of the Chihuly Sun, thanks to a generous donation by Montreal philanthropist, Van Berkom. I was one of the 270,000 visitors to the exhibition last year on a day I played hookey with my daughter. 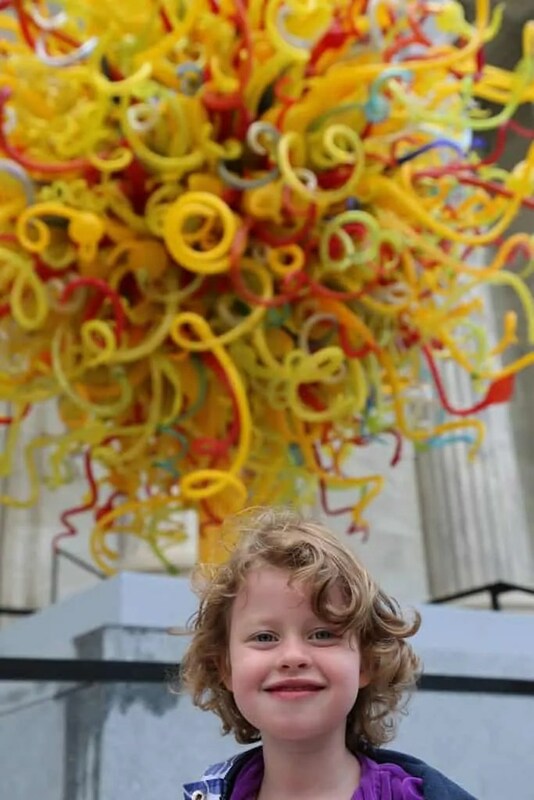 As she is a budding artist I wanted to expose her to seeing beautiful things, and Chihuly’s glass sculptures fit the bill perfectly. I was thrilled as well, that photographing the art was not only allowed, but encouraged. I realized, while doing it, that this was genius marketing – both by the artist and the museum as it gave visitors the chance to not only experience the gorgeous opulence of Chihuly’s work, but gave them something to share with their friends and across their social networks, spreading both the fame of the artist and perhaps contributing to the record-breaking attendance levels the museum experienced. I’ve worked for artists before, and photographed events and magazine features in the National Art Gallery of Canada, and I’ve always had restrictions on what I could and could not include in my shot, even if the subjects (people) were simply in the museum and the art was a colourful backdrop. I understand there are copyright issues, but at the same time, as an artist, wouldn’t you want your work to be seen as widely as possible, especially if, as in these cases, the works have already been purchased and are hanging on museum walls? Chihuly, aside from making stunning works of art, completely understands that while not everyone can afford to take home a $6,000 bowl (on the extreme low-end of his offerings), everyone can still take something away from the exhibit with the photos. And these photos not only allow viewers to have a deeper, more intimate connection to his work, but will also serve as ambassadors for his fame and enhance the cachet for those lucky few who can afford to own his works. Everybody wins. Next PostNext Is your event photographer too shy?